Sin is personal to each of us, something that we must deal with personally. While there are environmental factors that can influence our lives, that can never negate our own free will to choose good or evil. I think the more the government becomes the solution to social problems and crime, for to the modern mind crime is only acting out against social injustice (and implies moral innocence), the more Christianity will be a stench, this bad news. Instead of Christ, there is faith in Utopian government. 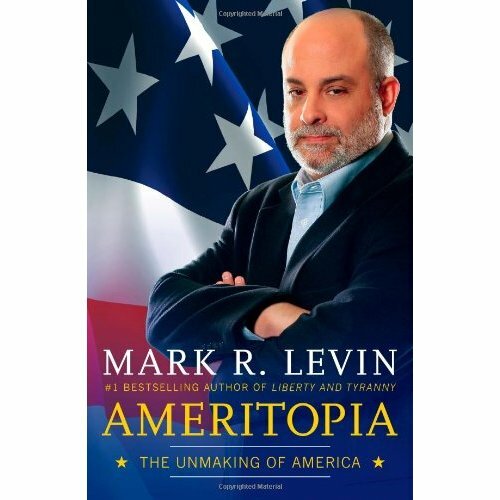 In Ameritopia, Levin presents his argument that the U.S. is in a post-constitutional period and heading toward the soft tyranny of the Utopian vision. For me, it has put a name and philosophy behind progressive Liberalism. As Kierkegaard wrote in The Point of View, “an illusion can never be destroyed directly, and only by indirect means can it be radically removed… A direct attack only strengthens a person in his illusion and, at the same time, embitters him.” This book is excellent in that it comes up from behind the illusion that government can perfect humanity, exposing this philosophy and its advance into our modern government. In the first section, the Utopian visions of Plato, More, Hobbes and Marx are discussed and shown to clearly advocate despotic governing bodies to achieve their ends of human perfection. I really did not understand the nature of utopianism, and was shocked by the control and uniformity proposed by these philosophers. The utopian dream relies heavily on the benevolence of one man, or a small group of men, to rule selflessly for the benefit of all people….and pure dream that is. As Lord Acton wrote in 1887, “power tends to corrupt, and absolute power corrupts absolutely. Great men are almost always bad men.” And as Montesquieu observed, “in a popular state there must be an additional spring, which is Virtue.” That only comes from within the citizen. Levin explores the writings of Woodrow Wilson, unveiling his vision of the governments as “living things and operate as organic wholes” and “have their natural evolution and are one thing in one age, another in another.” In his writings, Wilson exchanged our inalienable rights for privilege granted by government. He argued that federal courts are not bound to the Constitution. Levin reveals in Roosevelt’s writings contempt of the constitution’s limits on federal power, and his proposed “Second Bill of Rights” as mere disguised tyranny. This entry was posted in Culture and tagged Ameritopia, Mark Levin, philosophy, religion, utopian. An example of this soft tyranny came up today. With the institution of Obamacare, companies like Hobby Lobby are being forced to provide contraception and “morning after” pills to their employees, even if they do not agree with the practice. If they do not comply, they can be fined up to $1.3 million a day. Because the government is enforcing this, it must therefore consider it a Right that all Americans have access to contraception. I immediately thought of the “second bill of rights” proposed by Roosevelt. This isn’t the machine gunning storm trooper tyranny, but immovable and crushing and extinguishing.